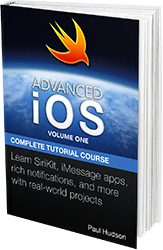 Want to get started with Swift, but find yourself short on time? 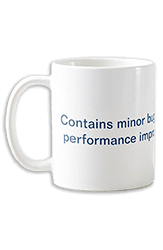 This is the course for you. 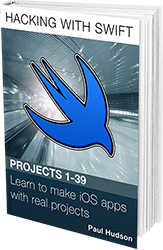 Learn Swift in almost 100 one-minute videos, each teaching one concept with no waffle and all written for Swift 4.2. If you prefer to read, or if you just want to go over the notes while you're watching, all videos have accompanying text. All videos last 60 seconds or less: there's no repetition, no time wasting, and no "hey guys what's up it's me again". 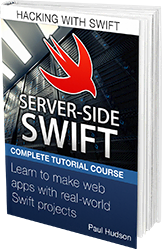 If you want to learn offline, you can buy the complete book with all videos and watch them wherever and whenever you please. 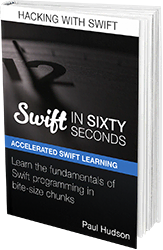 You can watch Swift in Sixty Seconds online for free, or support my work by buying the download edition. 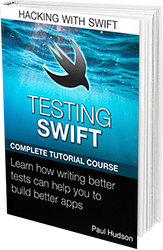 This is aimed at people who want to learn Swift quickly. 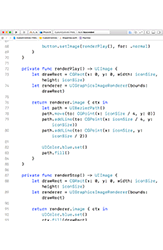 That might be someone who just wants a broad overview, it might be someone who prefers a "just the facts" approach to learning, or someone who can already code in other languages. What if this is too fast for me? 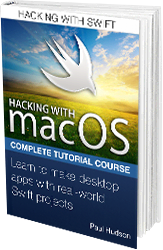 You should read Hacking with Swift – it has a much slower, more thorough introduction to Swift. 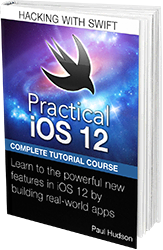 Will this teach me iOS programming? No. 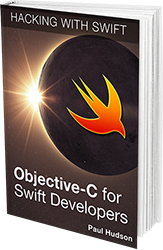 This focuses specifically on the Swift language. 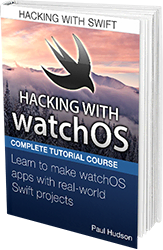 If you want to learn iOS development you should read Hacking with Swift. Do all videos really last sixty seconds or less? Yes! Even the more advanced ones. YouTube sometimes reports videos as lasting 61 seconds, but if you buy the download edition you can measure for yourself. Is the download edition the same? 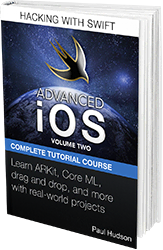 Yes – it contains all the same videos and text, just as PDF, ePub, Kindle, and HTML, so you can read them wherever you want. You're welcome to tweet me @twostraws.